Thanks a lot for the quick response, DrDan. We do have a meat thermometer and will be shopping for that grill surface thermometer. As for today, I’m going for it! Will let you know how it went. Pretty new to grilling, Dan. Do I leave the lid closed or open? Also, we have a 3-burner, brand new Brinkman propane grill, but it has no temp. gauge on it. Is there a way to tell without a gauge? Also, you talked about leaving brine for 1-2 hrs in fridge. do you mean chicken in brine, as long as it’s in the fridge? Thanks a lot…going to try your recipe today. So lets go in order. Lid closed. Temperature gauges on the hood of grills are useless anyways. Next time you order from Amazon or shopping at Lowe’s or similar store pick up a grill surface thermometer (about $10). For now go with medium-high. Most three burner can get to 550 or so on high but medium is usually about 400ish. Here you would want to be 450-500 range. 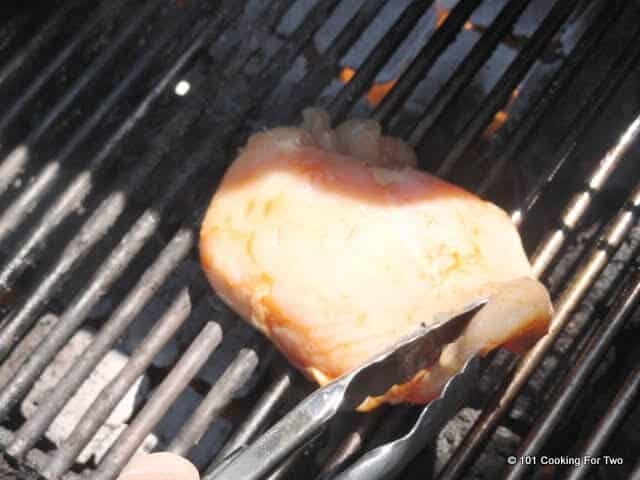 You MUST have a meat thermometer to be successful at all with grilling so you need that before you start. Overcooked will be hockey pucks and undercooked dangerous. A cheap $10-$15 one will do. And yes the chicken is in the brine in the refrigerator. Can I use the oven instead? Oven needs a little different technique. 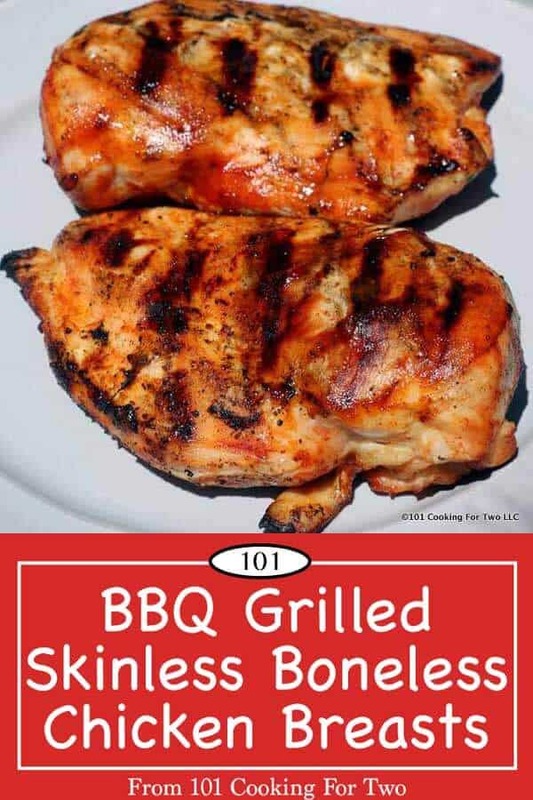 Check out https://www.101cookingfortwo.com/30-minute-skinless-boneless-chicken/ . Try this but cut back the spices some and coat top with sauce the last 5 minutes or so. I use cast iron but any oven safe pan that can tolerate as stove top should be fine. This sounds very good, however I don’t have sugar! Will the brine still be ok without it? Skip the sugar… I only use it some times. Ok. Overall I was pleased. My grill temp was 550F at start. I wouldn’t recommend getting grill as hot as you can, as I did. I have a three burner propane grill. Grill temp lowered to 450F after chicken was on. Also worthy to note I doubled this recipe, so two breasts would have cooked faster. 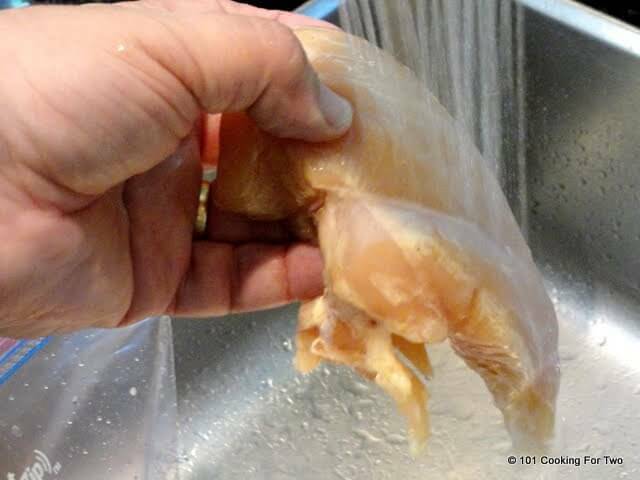 Brine kept chicken from drying out. If I cooked again this same way, grill burning wide open, I would cook for about 16 minutes. 5 minutes on each side then 3 and 3. OR, grill temp of 475F start temp instead of 550F+. Hope you find this helpful. Thanks for the recipe Dan! Thanks for the notes Bryant. Yep I agree the the 550 was a bit high but do-able if you watch carefully. I like the 450-500 range better. Awesome tip about the brine, and the grilling! I have now done this 4 times. Will never sklp the brine again. Thank you! This looks great, but 30 min seems like an awfully long time to cook a boneless chicken breast. Am I wrong? We can normally do 5-7 on a side and it’s done! The time is an approximation for reference and is my actual time . 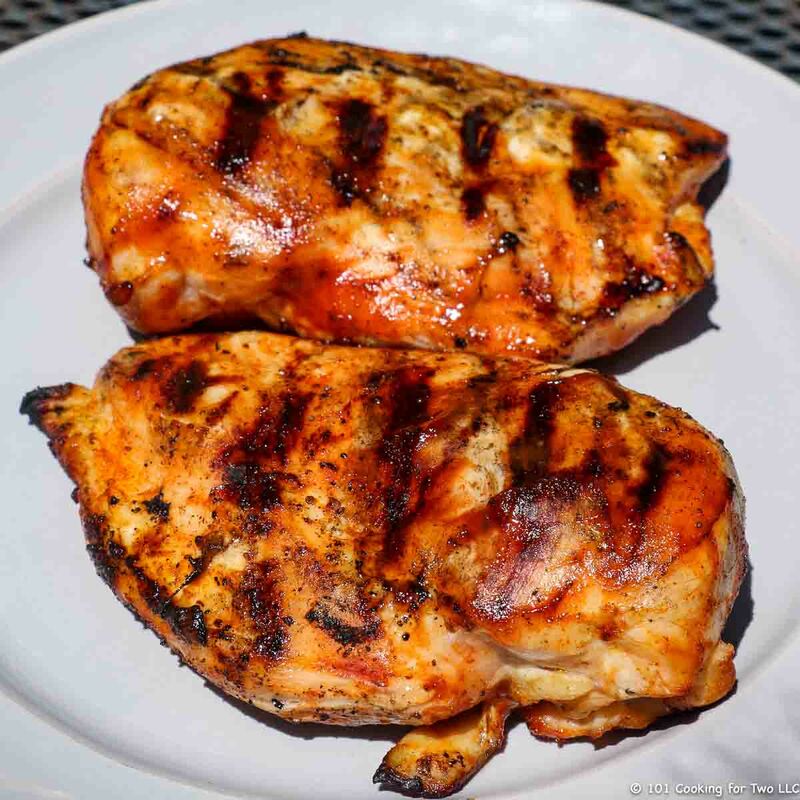 The variables are chicken size and thickness, temperature of the chicken at start and the grill surface temperature. 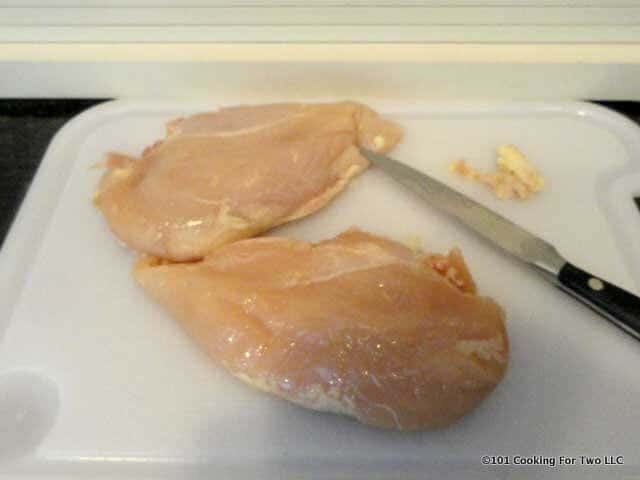 Most of the chicken breast we get are about 10-12 oz. For these breast, you can’t “sock the heat to them” or you will have burnt outside long before the 165 internal temperature you need for safety. Smaller would cook faster. I try to rest them some at room temp before cooking to help some too. The grill surface temp should be in the 450 degree range. That was high on my old grill but medium to medium high on my current grill. If you’re cooking to the correct internal temp you are most definitely NOT WRONG. 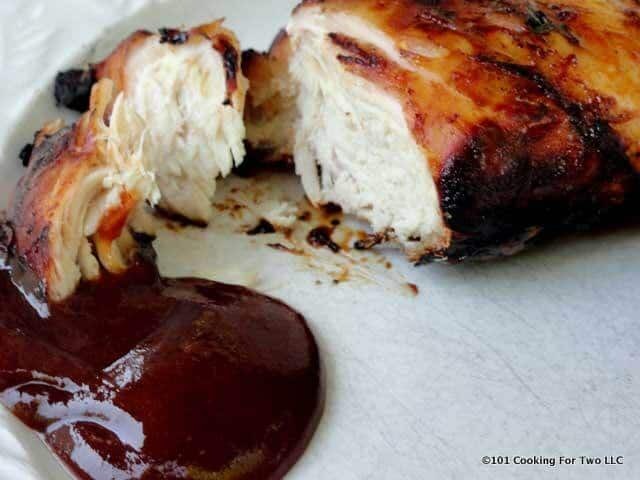 The skinless boneless chicken breasts can become “hockey pucks” so easy if over cooked. I had never heard of brine with chicken before. This was so moist it was unbelievable. 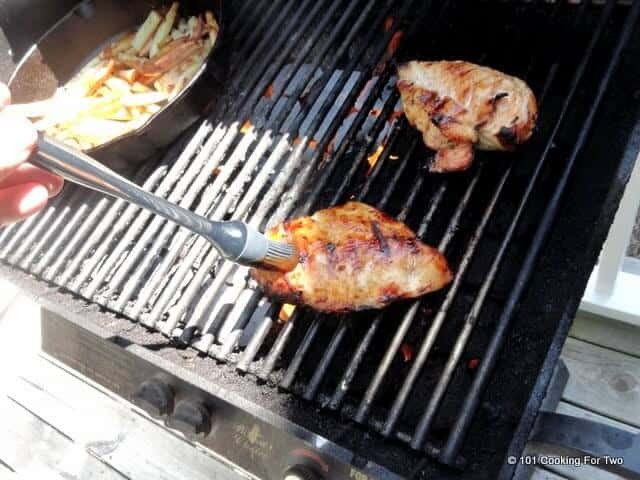 I used the quick method….and used a thermometer to check the chicken on the grill since I use charcoal. 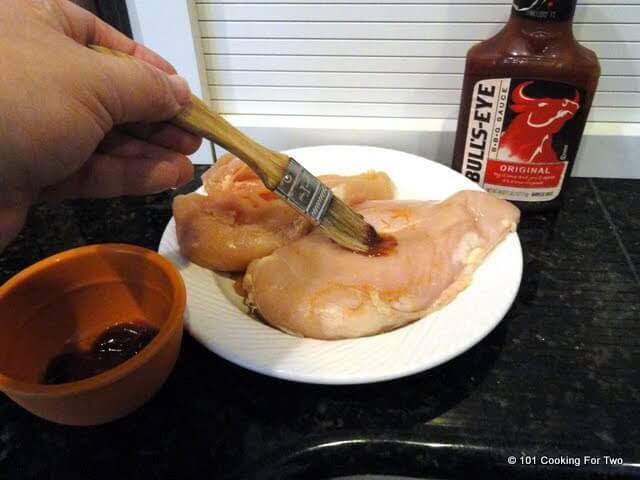 I agree this is the only way to cook boneless breasts. Thanks so much for this recipe and blog. Thanks so much for the note and enjoy the blog. 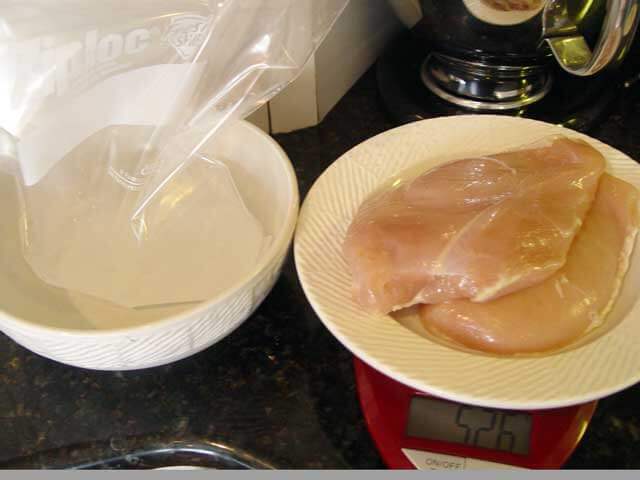 This might be a silly question, if you were making 6 chicken breasts do you triple the brine recipe? You just need enough brine to cover the chicken. Double should do but triple is fine. Delicious! Will never cook BSCB any other way ever again!! Thanks! I made this today and cooked my chicken on high heat, flipped every 5 min. and it burned to a crisp, inside was fine but the outside was completely black. I’m no expert obviously, I was just trying to follow the directions, but why did mine turn completely black and yours looks so tasty? I had to cut all the outside off in order to eat it, which meant all my BBQ flavor was gone. Thankfully I brined it so it wasn’t tough inside. But what would you suggest I do differently in order to cook it long enough but not burn it to death? A couple of possible answers. First the grill. 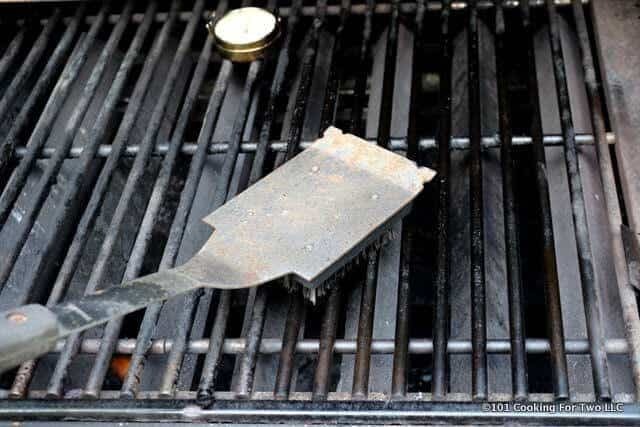 High on my old grill (the one in the picture) was 500 surface temperature. My current grill high is about 650. That is burn city. Second, the BBQ sauce. The more sugar, the faster the burn. So suggested solutions: 1) if you have a “hot” grill. Turn it down a little. Second, leave the sauce off until the last 5 minutes. Give those two things a try. The brine is what the mixture of water, brown sugar, salt and cayenne is called. I only did it briefly here but longer like 1-2 hours in the fridge would be great if you have the time. so is the brine the mixture of water and brown sugar and salt and cayenne? or is the brine something that you add to the water mixture? Yep I was trying to facilitate the brine since I wanted to cook soon. I think it helped some since this was quite moist. What are the knife pokes for? Facilitating the marinade/brine? I was just curious. Woof! That looks tasty, Dan. Too funny, I was just commenting on your blog and you did on mine! A dog always makes your cooking look good. 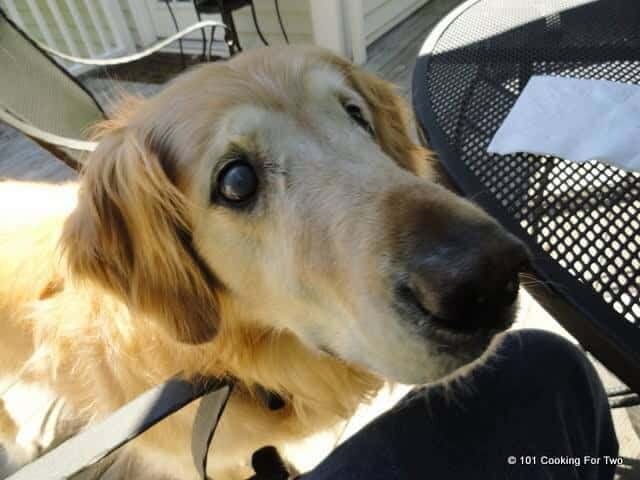 Love seeing the dog in your posts. i always photograph my cat sniffing around my food. It tastes exactly like it looks. Yum! That chicken looks soo tasty! Wow, does this look good!